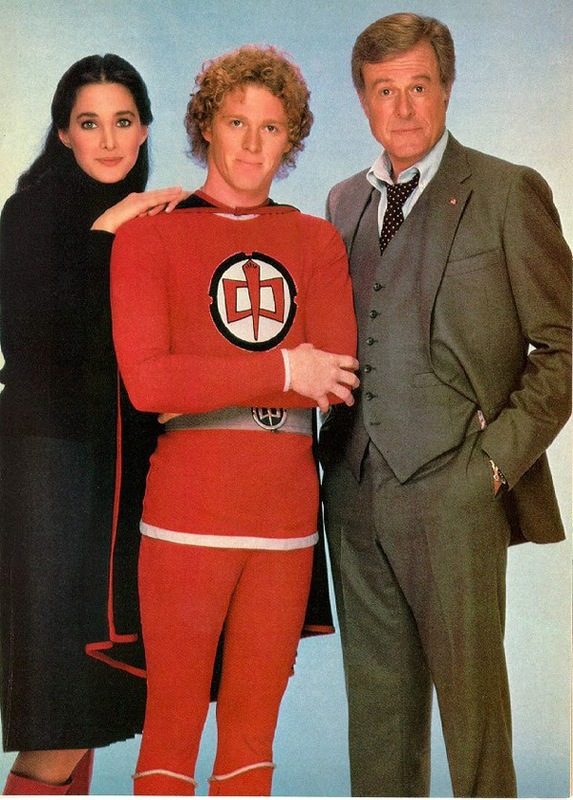 A reader requested that I write about William Katt and Connie Sellecca of The Greatest American Hero. TV Banter is pleased to honour the request. Do you remember that catchy tune? If so, then you probably recall a TV series about a young man with curly blond hair, a cherubic face and a red superhero suit? The man was William Katt and the series was The Greatest American Hero. It ran on the ABC Network from 1981 until 1983 and featured Katt as Los Angeles high school teacher Ralph Hinkley and Connie Sellecca as his girlfriend, attorney Pam Davidson. Veteran actor Robert Culp played FBI agent Bill Maxwell. While on a field trip, Ralph Hinkley and his special education students became stranded on a desert road when their bus broke down. As Ralph walked along the road to get help, he was almost run over by a car driven by FBI agent Bill Maxwell. A spaceship suddenly appeared and Ralph was accosted by aliens. The extraterrestrials presented him with a red suit which endowed him with superhuman powers. Ralph, of course, didn't relish wearing the silly suit (with cape) and he was a most reluctant superhero. He soon lost the instruction manual for the suit and myriad comic situations arose when he was forced to experiment with his newly found powers. However, FBI agent Maxwell persuaded him to use his powers to combat crime. Meanwhile, Ralph had to learn how to use the suit by trial and error. In his attempts to fly, he flailed about, crashed into walls and fell into bushes. He also discovered new powers, such as the ability to become invisible, at inappropriate or inconvenient times, . Pam, whom he eventually married, and Maxwell, were the only adults who knew of Ralph's powers. The Greatest American Hero premiered on March 18, 1981 and the show was forced to deal with some immediate problems. It was threatened with a lawsuit by the owners of the Superman copyright. Then, on March 30, 1981, President Ronald Reagan was shot outside the Washington Hilton Hotel. The name of Reagan's attempted assassin was John Hinckley, Jr., too close for comfort to "Hinkley," the last name William Katt's character. As a results, Ralph was called "Mr. H." (sometimes "Mr. Hanley") for a time. 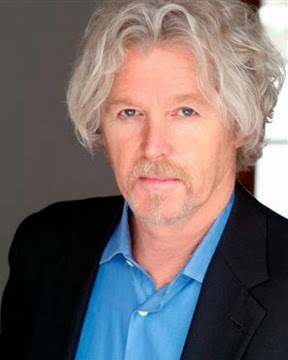 William Theodore Katt was born on February 16, 1951 in Los Angeles, California, the son of prominent actors. His father, the late Bill Williams, played the lead role in the classic 1950s Western series, The Adventures of Kit Carson. His mother, Barbara Hale, is best known for her portrayal of secretary Della Street on Perry Mason. Known as "Billy" or "Bill," Katt was raised in the San Fernando Valley and began his acting career as a teenager. Prior to his role on The Greatest American Hero, he was best known for his portrayal of Tommy Ross, the doomed prom date of Carrie White in the film version of Stephen King's Carrie. In the 1970s, Katt made appearances on TV series as Emergency (1972), M*A*S*H (1972), Kung Fu (1973), Police Woman (1974), Gunsmoke (1974), The Rookies (1974), Kojak (1975), He also had guest roles on Ironside in 1972 and 1975. In addition, he portrayed Jack Barlow in a 1978 coming-of-age movie about surfers titled Big Wednesday. Big Wednesday featured a young Jan Michael Vincent and a a young Gary Busey. Katt's mother, Barbara, had a role in the film too. Katt later played Paul Drake Jr. in a series of Perry Mason TV movies from 1985 until 1988 (Paul Drake Sr.was Perry Mason's private investigator in the classic 1960s series. William Hopper, who portrayed the elder Drake, died in 1970. He was the son of Hollywood gossip columnist Hedda Hopper). Raymond Burr and Barbara Hale reprised their roles as Perry Mason and Della Street.in the television movies, the first of which was Perry Mason Returns (1985). In 1991, Willaim Katt had a recurring role in the short-lived comedy, Good Sports, starring Farrah Fawcett and Ryan O'Neal as sports anchors. He played the part of Nick Calder in five episodes. In 1991 and 1992, he guest-starred as Jeffrey Teller in two episodes of the one-hour drama Sisters. The fist episode is entitled "Portrait of the Artists" (Season 3, Episode 11, Air Date: December 12, 1992). The second episode is "Moving Pictures" (Season 3, Episode 17, Air Date: February 13, 1993). In 1993, Katt appeared in Murder, She Wrote, with Angela Lansbury, in an episode called "Love's Deadly Desire" (Season 9, Episode 22, Air Date: May 16, 1993). He portrayed Derek Hartman, husband of a romance novelist. In 1994, Katt had roles in Burke's Law ("Who Killed the Fashion King?," Season 1, Episode 2, Air Date: January 14, 1994) and Diagnosis Murder ("Flashdance with Death," Season 1, Episode 11 (Air date: January 28, 1994). In 1994, Katt was also cast as Paul Carson in eight episodes of Model Inc., a spin-off of the prme time soap Melrose Place. In the late 1990s, he appeared in episodes of Walker, Texas Ranger (1998), and The Net (1998). His 21st century credits include TV series such as The Hunger (2000), Dark Realm (2001) and JAG (2001) (2004) and House of Payne (2010). He continues to remain active as an actor and director. 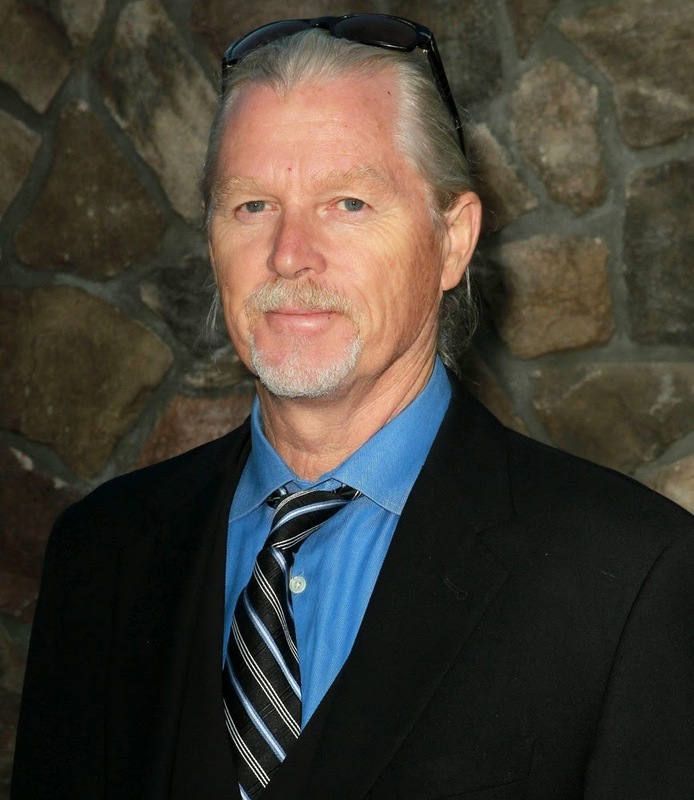 William Katt has been married twice. He wed Deborah Kahane in 1979 and the marriage produced two sons, Clayton and Emerson. However, the couple divorced in 1986. Katt remarried in 1993, this time to Danielle Hirsch. They have a daughter named Dakota together and Katt also has a stepson, Andrew. In a July 12, 2012 interview with Branscombe Richmond at the Thunder Valley Casino Resort, William Katt was asked about about his reaction to wearing red tights as part of his costume on The Greatest American Hero. He told Richmond that he originally feared it would be the ruination of his career. He now regards his time on the show as a "seminal moment" in his life and in his career. Katt also said that he had remained friends with the Robert Culp until Culp's death and that he has maintained a friendship with Connie Sellecca. 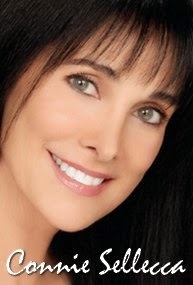 Connie Sellecca was born on May 25, 1955 in the Bronx, New York to Italian immigrant parents. Her birth name was Concetta Sellecchia. When she was 12, her family moved to the town of Pomona, in upstate New York. She attended nearby Ramapo High School where she became involved in student theatre productions. She then enrolled at Boston College, but left to signed with an New York agent and pursue an acting career. In order to support her drama studies, Connie became a lingerie and fashion model. It wasn't longer before the aspiring actress began winning fashion and commercial assignments. She finally made her acting debut in a 1978 fantasy film called Bermuda Depths a Japanese/American co-production that originally aired as a television movie. It starred Leigh McCloskey, Carl Weathers and Burl Ives. From 1978 to 1979, Connie Sellecca had her first regular role in a TV series. She played Lisa Benton, a flight attendant in the short-lived series Flying High. She also appeared in Captain America II: Death Too Soon, a 1979 TV film based on the Marvel Comics superhero Captain America. Her big break came when she was cast in the role of Pam Davidson, in the superhero parody The Greatest American Hero. After The Greatest American Hero was cancelled, Connie appeared in another successful series. From 1983 until 1988, she portrayed Christine Francis in the TV drama Hotel opposite co-stars James Brolin and Shari Belafonte. The show centred around the happenings at the lavish St. Gregory Hotel in San Francisco. In the 1990s, Connie appeared in slew of television movies: A House of Secrets and Lies (1992), Passport to Murder (1993), She Led Two Lives (1994), A Dangerous Affair (1995), The Surrogate (1995), A Holiday to Remember (1995), While My Pretty One Sleeps (1997), Something Borrowed, Something Blue 997), Doomsday Rock (1997) and Dangerous Waters (1999). She also starred in two short-live-lived series: P.S. I Luv U (1991-1992) and Second Chances (1993-1994). In P.S.I. Luv U, she portrayed a con woman turned informant opposite Greg Evigan. In Second Chances, she played Dianne Benedict, an aspiring judge in a small California town. Her co-stars were Jennifer Lopez. Megan Follows and Michelle Phillips. On January 17. 1994, the Northridge earthquake in California;s San Fernando Valley damaged the show's sets and CBS cancelled the series. In the 2000s. Connie has continued to appear in television movies: Annie's Dream (2002), All About Christmas Eve (2012). Connie has been married twice. Her first husband was American actor Gil Gerard, whom she wed on October 28, 1979. They had a son, Gilbert Vincent "Gib" Gerard, and divorced in 1987. According to an April 20, 1992 People magazine article, "Oh, What a Night!." by Jeannie Park, the breakup was acrimonious and there was a custody battle over young Gib. On April 4, 1992, she married for second time, to pianist and composer John Tesh, a popular radio and television personality. The wedding took place at a Beverly Hills mansion that Connie had rented. Connie's sister, Rosann Mack was her maid of honour and her mother, Ann, accompanied her to the altar. The ceremony was conducted by Pastor Louis Lapides. 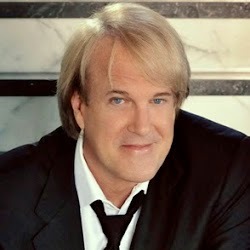 John Tesh, a native of Garden City, New York, is the former co-host of Entertainment Tonight (ET) and he he currently hosts a syndicated radio program, The John Tesh, Radio Show: Intelligence for Your Life. John and Connie are born-again Christians and John has written and performed sacred music. According to an April 20, 1992 People magazine article, "Oh, What a Night!." by Jeannie Park, Connie first became acquainted with Tesh in Palm Springs, California. She was there to film the pilot for P.S.I. Luv U and he was hosting an IBM awards programs. After their meeting, he gifted her with a tape of his first album, Tour de France. When they returned to Los Angeles, a smitten Tesh perused Connie's ET library file, then interviewed her by phone from her Beverly Hills home for a radio show. After the show, she accepted his invitation for dinner and the romance took flight. 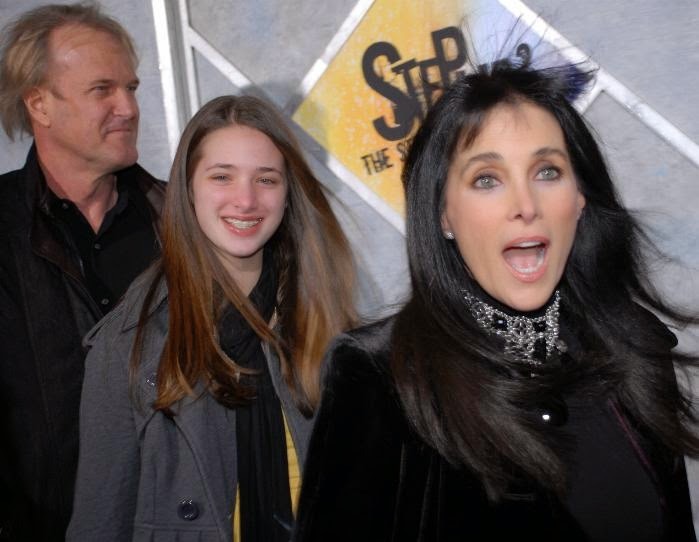 Connie Sellecca and John Tesh are the parents of a daughter, Prima (born June 2, 1994), who was named after Connie's father, Primo Sellecchia, a building contractor who died in 1987. * Robert Culp, is best known for his portrayal of Kelly Robinson on the 1960s espionage series I Spy, co-starring Bill Cosby. Culp collapsed and died of a heart attack on March 24, 2010. He was 79 years old at the time of his passing. * During the summer of 1981, the song "The Greatest American Hero (Believe it or Not)," was a major hit for American singer Joey Scarbury. 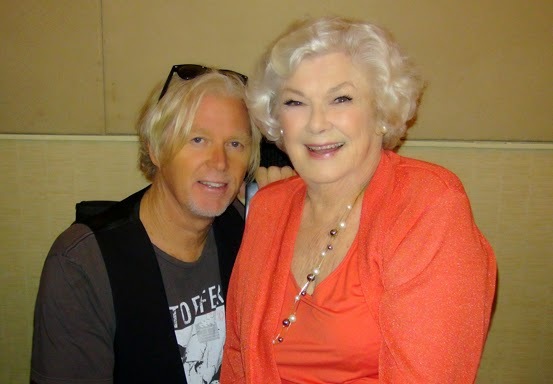 * William Katt's mother, Barbara Hale, was born in 1922 and will celebrate her 93rd birthday on April 18, 2015.
it was a perfect article on my favorite tv actor ever lived I truly loved the photos and statement that u done for it Joanne m u are amazing gal and thanks for this perfect article on my favorite tv actor and friends from my favorite tv show called the greatest American hero ever love it and miss it very badly big-time amen! love u William katt and late Robert c and Connie s u are truly a wonderful pair amen! from tv banter reader and fan Anne-Marie m,. gething god bless u and your wonderful crew Joanne m thanks ! Bill was also in a t.v. movie, "Butch and Sundance: The early Years", with Tom Berenson, I believe. 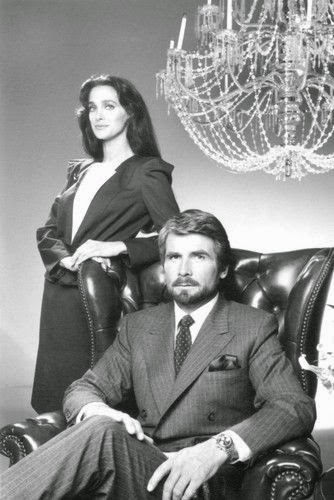 Although I did not watch the show that much, working, I loved that theme song. I also love watching reruns of Perry Mason. Thanks for the great memories. William Katt also appeared in the stage show "Pippin".